In 1974, Jacques Puisais started the first taste classes in France. In the 1980s, many teachers received training from the Ministry of Education and introduced taste lessons into their classrooms. 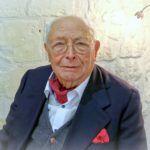 Those who were most convinced of the importance of teaching children about food issues, health and the pleasures of the dining table, continued to teach the programme over the longer term and to develop their expertise in taste education. The charity SAPERE AISBL, which was already helping to develop the Sapere method around Europe, set up two pilot classes in Ecully near Lyon, in partnership with the Paul Bocuse Institute. To do this, SAPERE first helped primary school teacher Dominique Montoux to record the taste education method that she’d been using with children for 20 years. 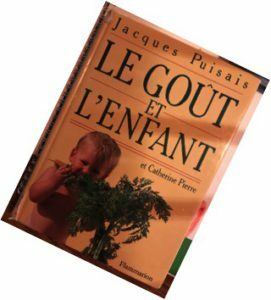 The Ministry of Agriculture became interested in the pilots, and integrated the approach into its National Dietary Programme, launching another five pilots in different regions of France, including North Picardie, Ile de France, Bourgogne, Centre Region and La Reunion. The training courses for interested teachers were funded by regional agricultural authorities and delivered by local advisors. However this wasn’t enough to satisfy the demand from teachers interested in taste education. So SAPERE Classes du Goût (the organisation that represents SAPERE in France) developed a simpler training format to make the training more accessible to a wide range of teachers and educators. The method is based on a set of modules, brought to life through a series of workshops where children discover taste and the five senses. 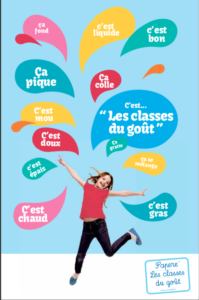 It can easily be adapted to different levels of ability and connected to other subjects (French, maths, science…), as well as linked to activities outside school (after-school clubs, community centres, special needs education). The method can also be easily adapted for special needs classes, an area SAPERE Classes du Goût is starting to work with. We offer free training for teachers, other education professionals and school canteen staff, over one day or two half days, which includes provision of a guide to the method and a resources kit with useful equipment for carrying out the lessons in the classroom. If you are interested in our work, would like to take part in a training session or volunteer with us, don’t hesitate to contact us! And click here to download our presentation leaflet. I took the training a few years ago now, with Annick Vidal in Valence. A very well thought through approach. A box full of treasures. – Lots of equipment included in the box, that the children treat like treasure.